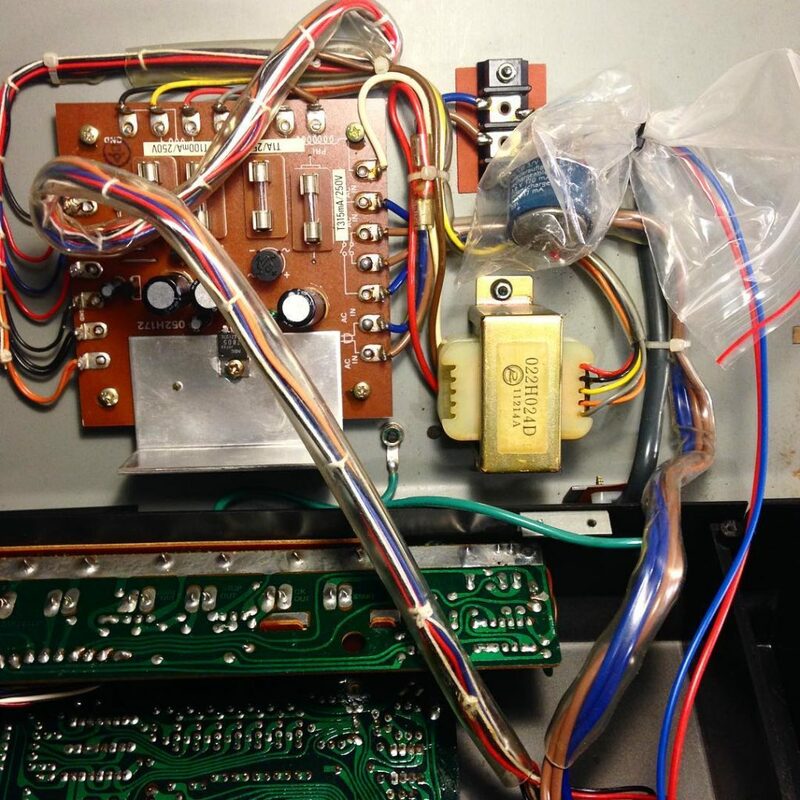 Roland CSQ-600: in which the tech replaced the NiCad memory battery but installed the replacement battery in a ziploc bag ziptied to the mains wiring. 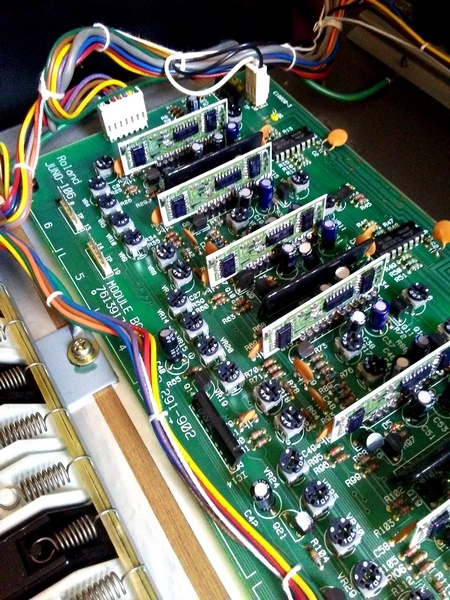 It is no longer uncommon for us to turn around 4 Juno 106es in a single week! 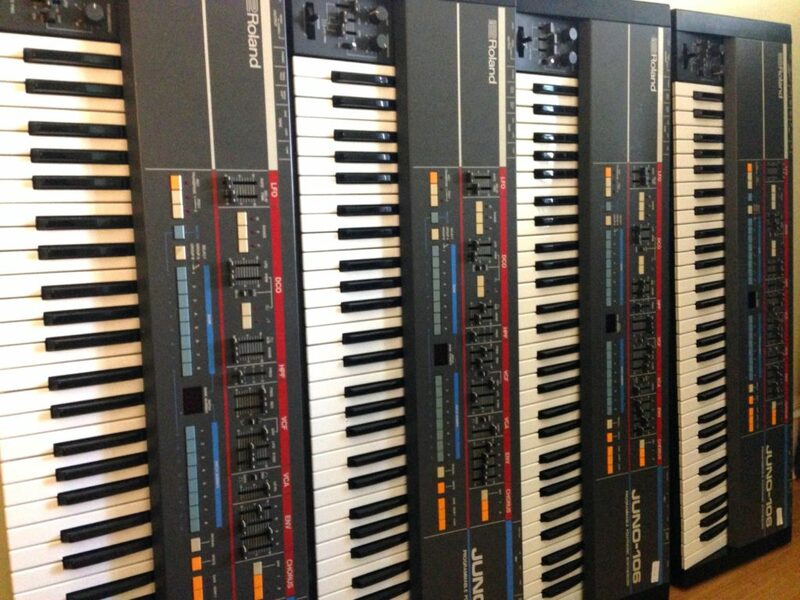 We are now halfway to having done 106 Juno 106es. One of our friends suggested that when we get to #106, we should just smash it. Don’t worry, we probably won’t. We forgot to take a picture of it when it was done, so here’s a picture of it when it was dirty! 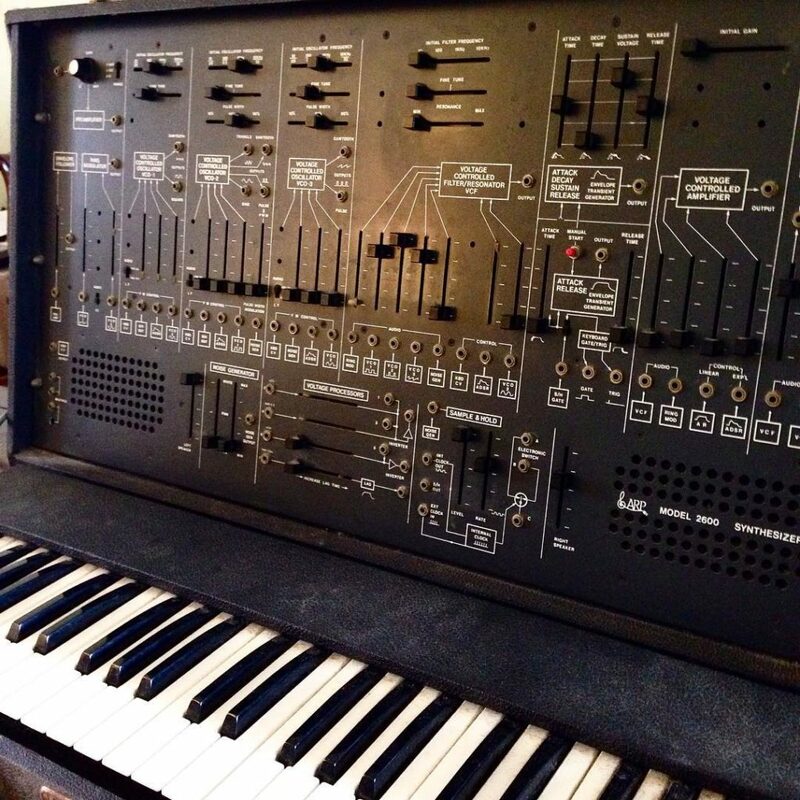 The owner of this ARP 2600 got it in an insane trade in the late 80s… in exchange for a Peavey keyboard amp and a TR-505! A lot of it had never worked in the entire 30 years he had had it. 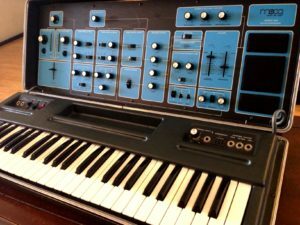 When we do restoration of an ARP that’s in bad shape, we’ve learned that there’s really only one good way to approach it. We basically strip it down to its bones and do everything we possibly can in one fell swoop before even trying to test different systems. It ends up being so much more efficient that it actually costs less than taking a more step-by-step approach. Because I am now one of those people who thinks they are very busy, I am just going to share a “quick tip” today. 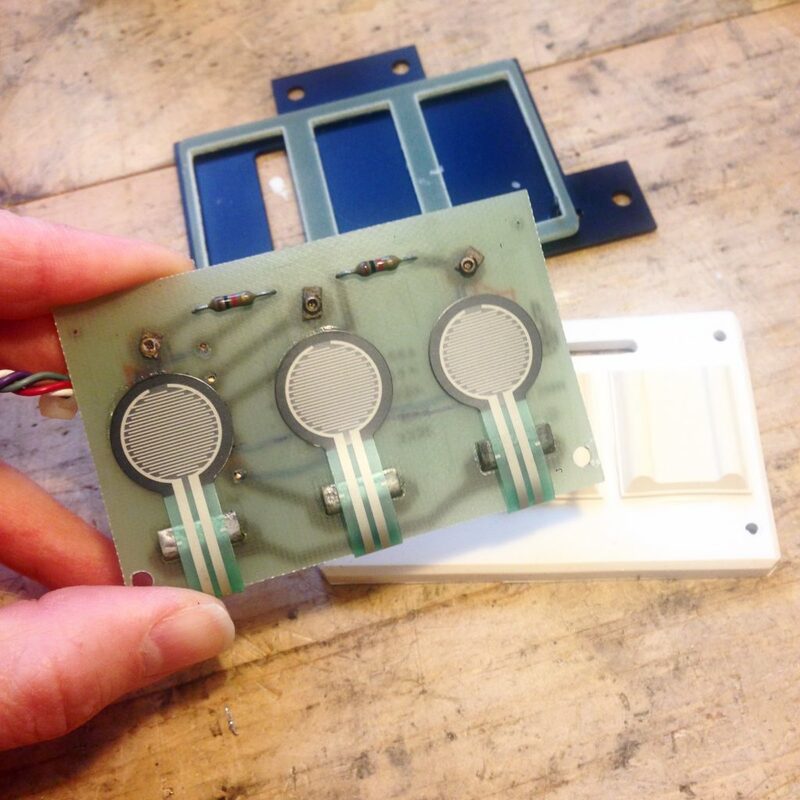 In one of several Odysseys that we rebuilt recently, the “Proportional Pitch Control” pads (otherwise known as PPC, those three spongy white pads that Mark III Odysseys have) were so bad that no amount of cleaning could revive them. I finally was forced to look for another solution, and tried using some FSRs (force sensing resistors) and the results were great. This was Bell Tone’s first Polivoks job, though not my first Russian synth repair as I have a UDS MARSH drum synth of my own. My goals were basically to “assimilate” this Soviet-era Russian for life in the modern United States and correct a few issues with the keyboard. What happened to the blog? 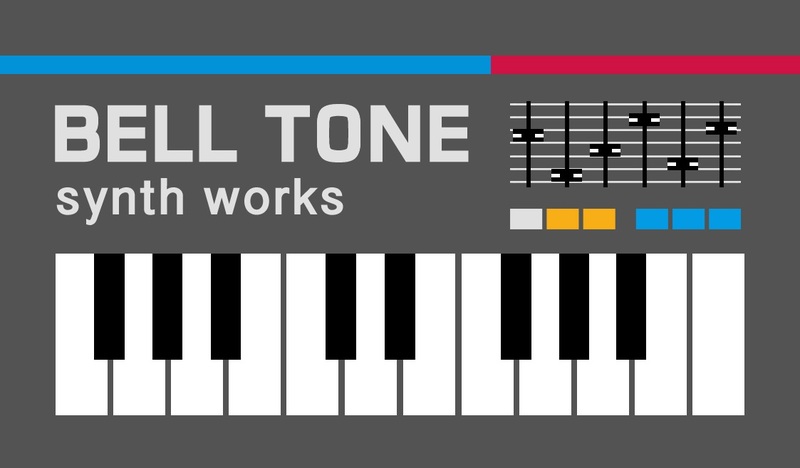 I’ve been surprised by how many people have seemed to enjoy reading the Bell Tone Synth Works blog and now feel bad that it has been neglected so much in recent months. So what happened to the blog? Basically, the blog is a victim of its own success. I started the blog when I started the business and didn’t have many clients, to sort of get our name out there, make our site more findable on Google and prove to prospective clients that I knew what I was doing, aware that as a somewhat young woman working in a field undeniably dominated by middle-aged and older men, my knowledge and skills might be met with skepticism, conscious or subconscious. I also wanted to store my notes on my repairs somewhere so that I could refer to them later, and figured I might as well put them where other people could find them too. Now, partly thanks to the blog and our YouTube channel but also to a great extent due to word of mouth and our growing reputation for doing good work (which is great), we have so much demand for our work that I often feel like I can’t spare the time it takes to write here. 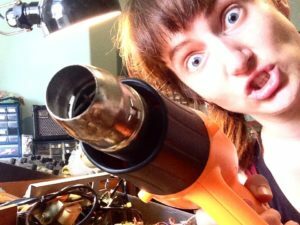 Author AlisonPosted on September 19, 2018 April 18, 2019 Categories repairs4 Comments on What happened to the blog? 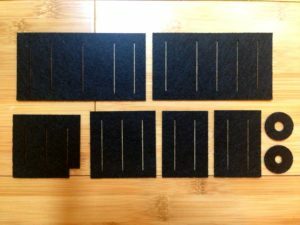 Now Available – Precision Cut Slider Gaskets / Dust Protectors for Juno 106, SH-101, Juno 60, Jupiter 8 and more! 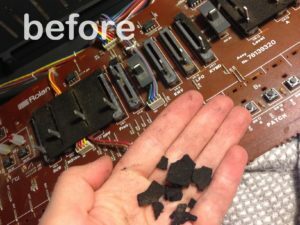 One thing we find in almost every 1980s Roland we work on is crumbly, dirty “dust shields” or “dust protectors” on the sliders (aka faders) of the panel board. 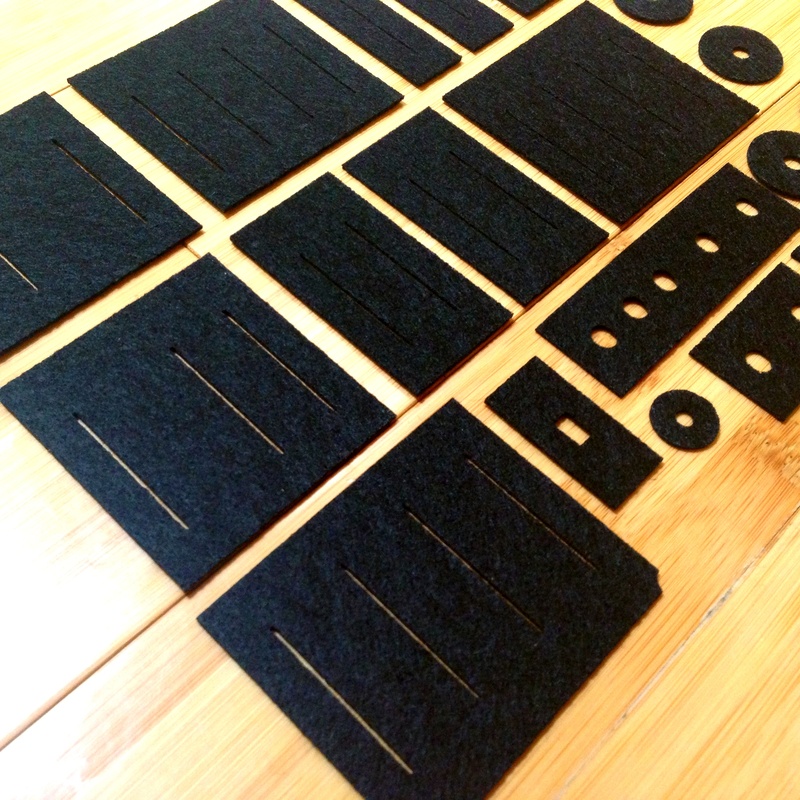 These gaskets were cut from thin black EVA foam sheets and were meant to protect the sliders from dust. However, 35 years later, they have dried out and are falling apart, their fragments actually falling into the sliders and making their crackly and intermittent behavior much worse. Author AlisonPosted on July 1, 2018 November 2, 2018 Categories for sale, repairsTags 1980s, CR-78, custom parts, for sale, Juno 106, Roland, SH-101, supplies7 Comments on Now Available – Precision Cut Slider Gaskets / Dust Protectors for Juno 106, SH-101, Juno 60, Jupiter 8 and more! 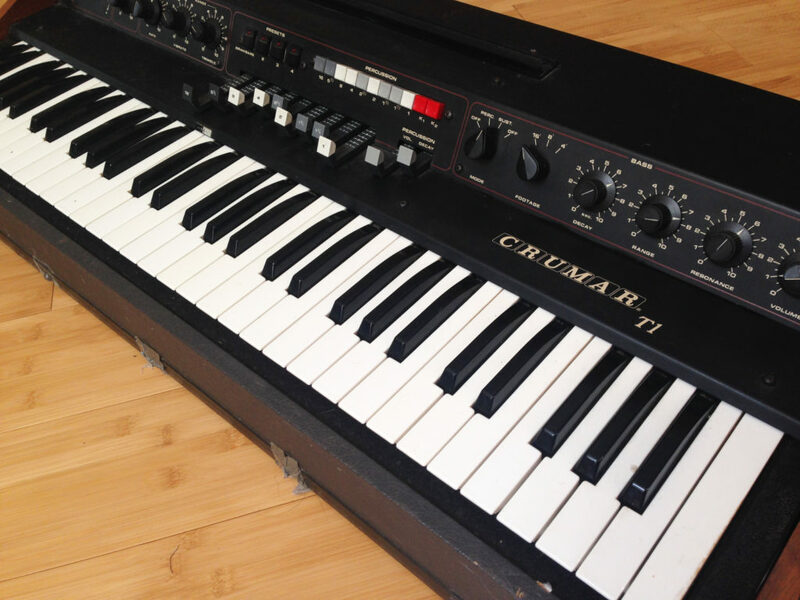 Crumar’s T1 is a surprisingly nice 70’s drawbar organ that used the latest octave divider chips that were present in a lot of keyboards of that era. 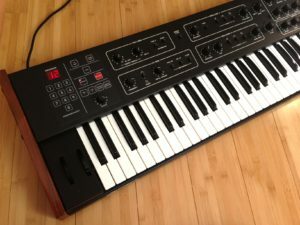 An additional feature that makes it more useful than your average organ is the addition of a very rich, fuzzy bass synth voice that can be added to the lower octaves of the keyboard. 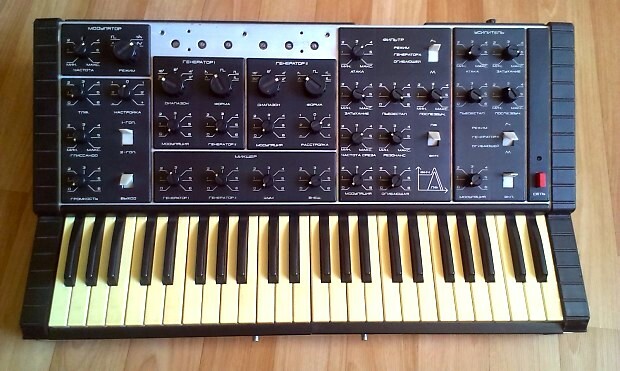 The synth voice has a basic resonant filter and a decay envelope that you have some control over. The organ voices sort of drop out in the bass section, so it really helps add a thick low end that would otherwise be lost. It also has a really nice LFO that can be applied as both a tremolo and a vibrato and the speed is controlled with a rotary pot. Bell Tone Synth Works is an electronics repair and service workshop with a specialty in vintage and analog synthesizers and other vintage keyboards, based in Philadelphia. 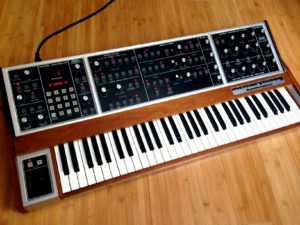 PA.
Get in touch about your synth situation!